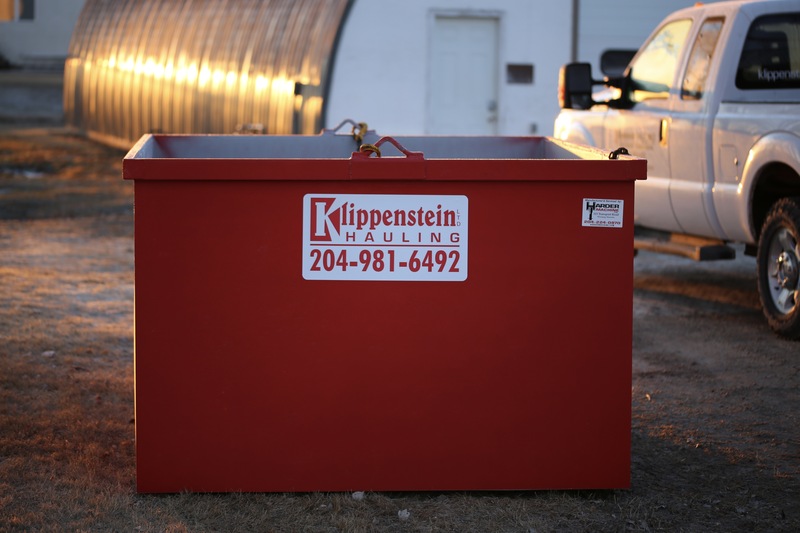 Klippenstein Hauling offers site cleanup and refuse removal services to Winnipeg and surrounding areas. We can set up a predefined rate, and you call us when your bin is full. We can charge per clean out. Bin drop charges may apply. 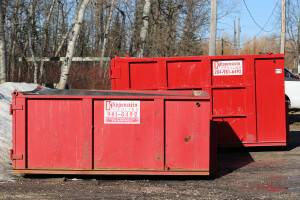 If your garbage is not in a bin, it’s not a problem! We use cranes with grapple attachments that allow us to grab debris and refuse right off the ground. 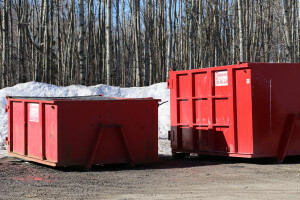 Just make sure all of your refuse is in a pile, and that there is 12 ft of space beside it, so that we can access it.